The Gay Gamer: Who else is excited about Miitopia after this weekend's Japanese Nintendo Direct? 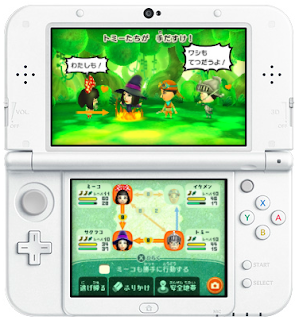 Who else is excited about Miitopia after this weekend's Japanese Nintendo Direct? What kind of "gamer" am I these days? The kind who wakes up early with butterflies in his stomach because he knows he's finally going to see some footage of an upcoming game he's been clamoring for since it was announced a couple of months back. At least that's the kind of gamer I was over the weekend thanks to the Japanese Miitopia-focused Nintendo Direct that hit the Internet on Saturday morning. What did I think of what I saw during that 16-minute broadcast? I thought it looked pretty great--although don't take that to mean I understood what was going on during this Direct's many gameplay segments. 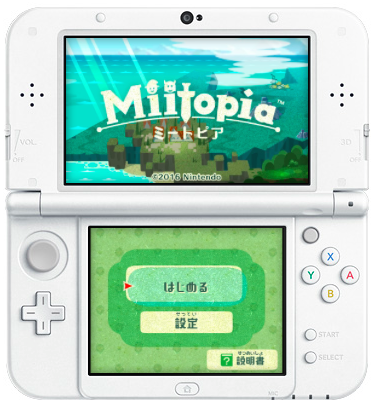 I mean, I get that Miitopia is going to be one part Tomodachi Collection (Tomodachi Life in my neck of the woods) and one part Final Fantasy-esque JRPG, but even after watching Saturday's "Miitopia Direct" a few times I'm still not sure how much of the latter aspect I'll be able to control while playing through it. Specifically, I'm wondering if I'll be able to freely move my party of adorably outfitted Miis around the game's towns and overworld areas (if what was shown in the above-mentioned broadcast can be described as such) or if it'll be done for me? A similar question is bouncing around in my head in regard to the hilarious battles highlighted in last weekend's footage: will I direct them in Miitopia as I would in your typical Dragon Quest game, or will the title's artificial intelligence handle it? I'd be lying if I said I'd be perfectly happy if most or all of these activities happen on their own without my input. That said, I thought I would dislike the similarly hands-off Tomodachi Life before I played it; in the end, I put nearly 130 hours into that curiosity and loved every second of it. 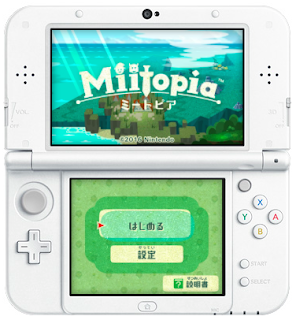 In other words, who's to say Miitopia won't out-and-out charm me even if it's not as involved than I'd like it to be? Of course, that's less likely to happen if most of this game's text goes over my head due to my still-developing Japanese skills. Or maybe I should look at Miitopia as an opportunity to further expand those skills--while also having a bit of fun? While I work through my own feelings about Miitopia, please share yours with me (and others) in the comments section below. I'd especially love to hear from those of you who are planning to purchase the game on or around its Japanese release date of Dec. 8, although I'd also like to hear from anyone who thinks they'll buy the title if it's translated into a language they can understand at some point down the road.